ABU DHABI - Better management could reduce the risk of competition horses testing positive for banned substances, according to an Emirates Equestrian Federation (EEF) official. Alison Abrahams, a consultant to the EEF and a Federation Equestre Internationale (FEI)-accredited showjumping and endurance judge, said that until FEI rules differentiating between medication and substances used for cynical doping were refined, rigorous care was essential in stables. Four of the FEI's 14 ongoing doping cases involve UAE nationals. "There must be a lot of emphasis on education and the importance of strict controls in stables," said Ms Abrahams, who in 1996 became the first woman to win an endurance race in the UAE, and who is a world governing body steward. "A lot of people are training horses here for different disciplines and they all want to do the right thing, but unless you know what is going on in your stable to the smallest detail, there could be risks." Horse doping, which has long cast a shadow over international equestrianism, reared its head in the UAE recently when four endurance horses failed drugs tests. Their riders, who are identified as the "person responsible": under FEI rules, have been banned from competing in FEI-affiliated events pending tribunal hearings. Vijay Morrthy, head of endurance riding at the Emirates Equestrian Federation, admitted the use of banned substances in UAE equestrian sport was a problem. But given the hands-off management style of most riders in the country, he seriously doubted they knowingly administered such drugs. "The rider may have some moral responsibility, but I don’t think he knows about these things," he said. "Given the stringency of the testing, no rider or any experienced person would ever dream of doing such a thing and getting away with it. "These things are absolutely inadvertent, and we need to make sure nothing like this happens again." At the Beijing Olympics six showjumpers tested positive, four of them on the same day for the same pain reliever, while last week 21 polo ponies, worth an estimated Dh8.1 million, died in Florida after being administered poorly-measured supplements before a match. While some doping incidents are attempts to enhance performance, the FEI's first vice president, Sven Holmberg, said most cases were medical infringements. "Out of 2,800 tests per year, we only have one per cent that are positive and that includes the relatively large number of positive tests we have seen in the Middle East. Of the positive tests, 90 per cent are medical violations," Mr Holmberg said recently. He added that the FEI was working with the World Anti-Doping Agency to clarify the issues of doping and veterinary science in the rulebook. Ms Abrahams believes positive tests could be reduced with better understanding of how medication is metabolised and stricter controls over administration. "There are issues with doping versus medication in every country," she said. "It's easy to see how mistakes can be made when horses are all living together and sharing the same feed, but it is essential that if one horse is medicated in a yard, that others do not inadvertently receive the same medication." Ms Abrahams said the issue of stable management was discussed at the recent season-ending meeting of the EEF, which was held to allow everyone involved to comment on the season and issues affecting horse sport. "The veterinarian, Dr Jim Bryant, gave a great speech on how to medicate your horse and how to be as thorough and careful as possible in the administration of medicine," she said. "It’s very easy to lose track when horses are living together, and that’s when you can get into trouble." A TOTAL prize money of BD5,000 is up for the grabs in the 120-kilometre Seniors Endurance Horseride Championship to be held tomorrow from 5pm at the Bahrain International Endurance Village in Sakhir. The winner of the race will receive the biggest prize of BD900. Runner-up gets BD800, BD700 for third place, BD600 for fourth and BD500 for fifth. The next five riders will receive cash prizes with BD400 going to the rider finishing sixth. The next four riders will get BD350, BD300, BD250 and BD200 respectively. This is the concluding event of the endurance season and is being held under the patronage of the Bahrain Royal Equestrian and Endurance Federation (Breef) president Shaikh Nasser bin Hamad Al Khalifa. Top riders from Bahrain and across the GCC are set to compete in this event which is set to conclude at 5.20am on Saturday. Among leading riders are members of the Kingdom Stables team from Saudi Arabia besides other participants from the UAE and Oman who arrived in Bahrain yesterday. Others who have confirmed their participation include riders from some of the top stables in Bahrain like the Royal Endurance Team, Al Khaldiya, Al Asayel and Al Fateh stables. The championship will be held over five stages. The first and second stages will be over 30 kms each, the third over 25 kms, the fourth 20 kms and the fifth and final stage cover 15kms. The veterinary examination will be held on the day of the event at a purpose-built area inside the village. The examination will be held from 2pm to 4.30pm. The top three riders will be honoured at the awarding ceremony on Saturday at the race venue. Australian endurance rider Meg Wade remains unconscious in Canberra Hospital, after a fall from a horse while competing in the 100 km Tumbaramba endurance ride on April 4th. She has been moved from ICU to the Neurological High Dependency unit, where she is breathing on her own and shows response to some stimuli. The doctors are pleased with her progress. Her family and friends appreciate the overwhelming words of care and concern and support from around the world. 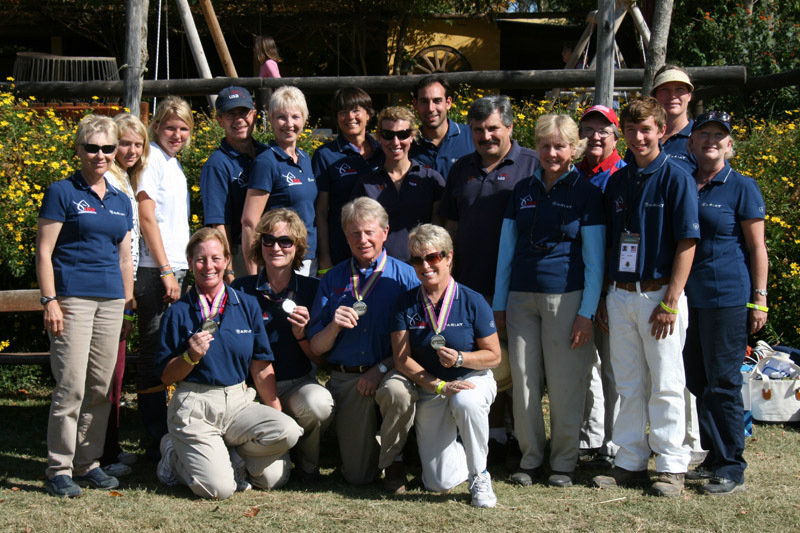 Lexington, KY - Team USA put in a remarkable effort on the final phase at the 2009 Pan American Endurance Championships in Costa Azul, Uruguay to secure a Team Silver medal. They finished less than six minutes off the gold medal-winning pace of Argentina. The American riders blazed through the final 15km phase: Cheryl van Deusen and on DA Al Capone (New Smyrna Beach, FL) and Stephen Rojek on Savvy (South Woodstock, VT) completed the final leg in just 37 minutes. Valerie Kanavy and LM Francesa Pharr (Fort Valley, VA) added to the effort with another strong final phase time and a sixth place Individual finish to secure a Team Silver medal. The race was very close as the riders set off on the final phase, Team USA was just four minutes ahead of the Guatemalan Team and 25 minutes behind Argentina. The US riders made up considerable ground. Gabrielle Mann and CM Big Easy (Bolinas, CA) served in the key anchor position in their first international competition. They delivered on their position and provided a security score in case one of the other members was unable to complete the competition. Her completion meant that the US Team was assured of at least the bronze, and allowed for a more aggressive strategy. MONTEVIDEO, April 27 (Bernama) -- Yang di-Pertuan Agong Tuanku Mizan Zainal Abidin and Raja Permaisuri Agong Tuanku Nur Zahirah today began their state visit to Uruguay. Their Majesties flew in to the Carrasco International Airport in a special aircraft at 6.15pm Sunday (5am Monday in Malaysia), and were greeted by Uruguayan Foreign Affairs Minister Gonzalo Fernandez. The royal couple was accompanied by Higher Education Minister Datuk Seri Mohamed Khaled Nordin as the minister-in-attendance and several senior government officers. This is the second visit to Uruguay by a Malaysian head of state. The first was in September 1995 by the late Tuanku Ja'afar Tuanku Abdul Rahman. The current state visit is also to reciprocate the state visit to Malaysia by Uruguayan President Dr Tabare Vazquez Rosas in November 2007. Tuanku Mizan and Tuanku Nur Zahirah are scheduled to have an audience with Vasquez tomorrow. In the evening, the President will host a state banquet in honour of Their Majesties. The visit is expected to provide impetus for improving bilateral relations and symbolises the warm and close ties of friendship between the two countries. Prior to the state visit, Tuanku Mizan participated in the Pan-American Endurance Race in Costa Azul, about 50km from here, on Friday at the invitation of Vasquez. The Malaysian team clinched the first place among the six non-Pan American countries, which participated in the gruelling 120-km biennial challenge that involved a cross-country resistance race. The six non-Pan American countries were Malaysia, England, France, Belgium, Qatar and the United Arab Emirates. In the overall individual event, Tuanku Mizan, who rode Tormento, came in on 21st place while another Malaysian rider, Datuk Abdullah Taib, came in on 24th. Tuanku Mizan clocked 8 hours 36 minutes, also to finish second in the non-Pan American category, while Abdullah took third place after clocking 9 hrs 21 minutes. Briton Dominique Freeman clocked 8 hrs 6 mins to win gold in the category. Abdullah was seen with his right hand in a sling at the prize-giving ceremony at Santa Maria, Costa Azul. He had suffered a fracture of the right shoulder after he fell from his horse, Horus. He managed to finish the race, riding the last five kilometres of the race with the injury. Finishing 2 minutes behind Costa was Joao Raposo riding Titanic, followed by Roberto Paul Carranza riding Repoker. 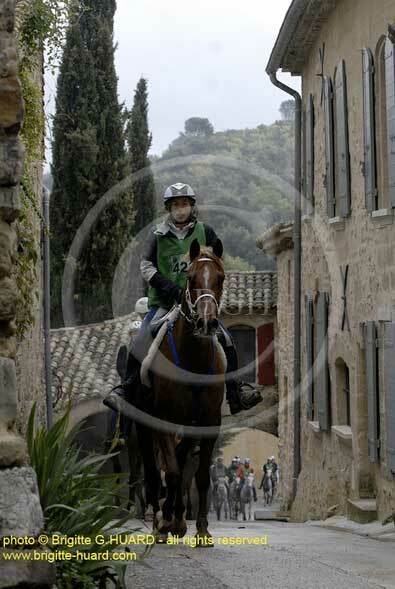 Endurance.net coverage and results, and photos by Alice Proust at 2009 Monsaraz. CEI** 125 km: Robert PASTOR and INCHALLA were second on the first loop (00:00:29 seconds after the first), then first on the three following loops. He arrived under a sunny weather, while it was pooring with rain on the following riders. 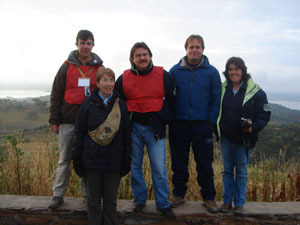 The United States team started and finished 4 riders at the 2009 FEI Pan American Endurance Championship held in Uruguay. The Championship distance was 120 kilometers (75 miles). Argentina won the Gold Medal, and Guatemala took Bronze. Three of the USA horses were shipped from the USA. One horse was already in Uruguay. The 100 percent completion rate and the high placement of the individual riders was a great accomplishment for the USA, especially considering that they were among the few competitors whose horses where shipped from afar. Team Chef d' Equipe Becky Hart was very pleased with the results. The USA is gearing up to host the next World Endurance Championship in 2010 and Ms. Hart is focusing all of her efforts on training and preparing USA riders and horses for a competitive showing at this event. The winning of Pan American Silver Medal was a great boost for this effort. Following on strong results achieved November 7, 2008 at the World Endurance Championships in Malaysia, Canada is now preparing for the 2010 World Equestrian Games in Kentucky. Placing 7th at the Championships, the team is made up of riders Wendy Benns (Pontypool, ON), Ruth Sturley (Owen Sound, ON), Yvette Vinton DVM (Simcoe, ON) and Bob Gielen (Norton, NB). Throughout this year, results from both Canadian endurance teams (Canada East and Canada West) will be compiled for qualification for the WEG. OE will follow the season with great interest : good luck to all riders! 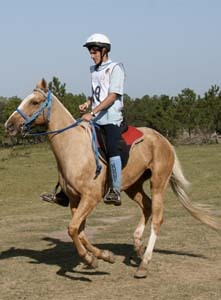 The Guatemalan team, composed by four riders, won the bronze medal today at the Pan American Endurance Championship in Uruguay 2009. Argentina won the gold medal and the US obtained silver. 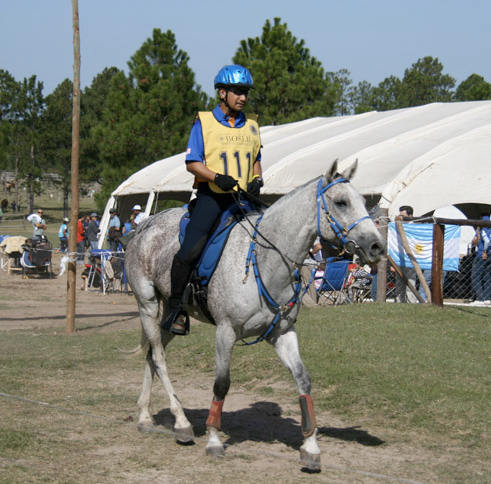 All Guatemalan participants in the equestrian endurance championship obtained positions among the first 20 finalists. The competition among the participating countries was fierce, riders from Argentine, Brasil, Chile, Colombia, U.S., Canada, Spain, Portugal, Uruguay, Guatemala, England, Belgium, Malaysia, the King of Malaysia was also a competitor. Guatemala has been improving it's performance in equestrian endurance at international events every year for the last 4 years. Today is a very special day, beating, Brazil, Chile and Uruguay who have very tough and experienced teams, is a dream come true for the Guatemalan riders. We send the team our warmest congratulations! Job well done. he USEF has named the following horse/rider combinations for the 2009 Pan American Endurance Championships to be held in Costa Azul, Uruguay on April 24, 2009. Both Team and Individual medals will be awarded at this competition, which will be run over a course 120 km in length. The King of Malaysia is expected Monday in Uruguay to participate in a equestrian endurance competition scheduled for next Friday. An advance party of King Mizan Zainal Abidin, 46, is already in Uruguay selecting horses and addressing security issues for the monarch and his immediate collaborators. 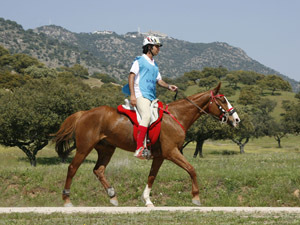 The 120 kilometres endurance competition in different terrains and which is particularly demanding for the horse and rider is part of the Pan-American calendar of the discipline. Contrary to a normal equestrian raid which follows established routes, the endurance competition is basically a cross country resistance race in different circuits and distances, with five stops for vets to check health conditions of the horses. “Besides the excitement of the competition the most important factor in the health and running conditions of the horses that is why the checks”, said Diego Carrasco one of the organizers of this week’s event. The Pan-American competition is disputed every two years, and Uruguay won the gold medal in 2005 and in the junior competition two years later in Argentina. In 2007 Uruguay obtained silver in Campinas, Sao Paulo state, Brazil. Carrasco said that a good relation was established between Malaysian and Uruguayan riders last December when the world endurance competition took place in Malaysia. “Malaysians were impressed with the Uruguayan horses resistance and adaptability and have since been buying horses in Uruguay”, said Carrasco who added that in the Arab Emirates there are also “Uruguayan horses and Uruguayan staff looking after them”. Some Arab sheiks have also purchased land in Uruguay to train their horses. “A good resistance horse like any long distance runner needs a lot of training, every day, meticulously to ensure he’s ready for the competition”, said Carrasco. King Mizan Zainal Abidin will be participating with a group of seven riders, out of a total of 85 that have registered for the competition. Riders will be coming from Argentina, Brazil, Chile, Colombia, Costa Rica, Guatemala, United States, Uruguay, Belgium, Arab Emirates, Spain, Britain and Holland and will be running in Senior and Young categories, one star, 80 kilometres and two stars, 120 kilometres. “The advance delegation of the King has already checked the circuit and love Uruguay because they can move freely and they are impressed by the landscape”, underlined Carrasco. Mizan Zainal Abidin was sworn in the post as Malaysia 13th king in December 2006. In 1998 he succeeded his father Mahmud Al-Muktafi Billah Shah, as sultan of the state of Terengganu, one of the nine hereditary states that occupy the throne for five year periods. Malaysia is the only country in the world to have a rotating monarchy. Mizan Zainal Abidin, was educated in Australia and Great Britain and is a well known sportsman including soccer, golf, diving, taekwondo and equestrian disciplines. LAS VEGAS - A high-ranking International Equestrian Federation (FEI) official yesterday outlined steps that the governing body is taking to clarify its doping regulations in the wake of a number of prominent positive drugs tests, including one case in the UAE. Sven Holmberg, the FEI's First Vice President & Jumping Committee Chairman, yesterday said a commission had been established in conjunction with the World Anti Doping Agency (WADA) to thrash out rule clarifications. The commission has been in existence for a number of years but achieved greater significance in a spate of the recent, high-profile doping cases. It emerged this month that Sheikh Mohammed Bin Rashid, Vice President of the UAE and Ruler of Dubai, will face an FEI tribunal after one of his endurance horses tested positive for a banned substance. In a statement issued on April 6, Sheikh Mohammed asserted that a horse he had ridden in international competition tested positive for guanabenz, used to treat hypertension, and a metabolite of stanozolol, an anabolic steroid. "While completely unaware and utterly condemning the administration of these substances, His Highness has volunteered his acceptance that he is legally the person responsible," read the statement. The test, administered by Sheikh Mohammed's staff, influenced his decision to pull out of a recent UAE endurance race and report the findings to the FEI. He has now received a suspension pending results from the tribunal. This incident comes after four horses, one a bronze medallist, all tested positive for the banned pain reliever, capsaicin, on the same day at the Beijing Olympics last year. Although Holmberg, speaking from the Thomas and Mack Centre in Las Vegas, venue of the Rolex FEI Showjumping World Championship, could not comment on individual, he said work was being done to clarify the distinction between substances administered for medicinal reasons and others given to horses as performance enhancers. "There will be changes to the rules," said Holmberg, who is number two to FEI President, Princess Haya Bint Hussein, wife of Sheikh Mohammed. "We have a separate set of rules for doping and medication. It’s a problem of striking a balance between legal requirements on one side and veterinary science on the other. "If a horse is sick then they need to be treated properly - violations for medical substances can mean the rider has come back to competition too early. That’s a much less serious offence than if you are giving the horse performance enhancers." The vast majority of positive tests, said Holmberg, fit into the medical category. "Out of 2,800 tests per year, we only have one per cent that are positive and that includes the relatively large number of positive tests that we have seen in the Middle East." he added. "And of the positive tests, 90 per cent are for medical violations." The World Championship concludes on Sunday. photo: RUNNER UP: Masterton-based Jenny Champion, riding Freckles, finished second at the National Endurance Championships held in Wairarapa at Easter. The New Zealand record for a 160-kilometre (or "hundred miler") endurance horse race was broken at the Mitavite National Endurance Championships held in Wairarapa at Easter. Mark Tylee of Owhango in the central North Island, riding his 12-year-old part-Arab mare Class Act, smashed the previous New Zealand record for a one-day 160km endurance ride by a considerable margin, completing the distance in eight hours, 24 minutes and 37 seconds - an average speed of more than 19 kilometres per hour. Tylee's victory in the three-star event was Tylee's third national championship win, and the 20th 160km ride he has successfully completed, a remarkable tally for a rider who is only 25 years old. Tylee was chased hard by Wairarapa rider Jenny Champion, riding her 13-year-old Arab mare Freckles, who had won the national title from Tylee the previous year. Champion had caught up with Tylee on the final 20km loop of the six-loop ride, and the pair covered much of the final loop at a gallop, averaging nearly 25kph. However after Champion's mount slipped about 8km from home she felt the horse was not able to sustain the pace, allowing Tylee to regain his lead, and he finished six minutes ahead of Champion. Young South Island rider Kylie Avery won the two-star 120km championship ride in just under six hours on her part-Arab stallion Silands Jasark, while the junior 120km title went to Michael Wakeling riding Delahaye Finali, cruising to victory 45 minutes ahead of his nearest rival. The one-star 107km ride was won by Anita Lamb riding Bushlands Dees Pride, while the junior title went to Vanessa Tiffen, riding Gazzah. A total of 94 horse and rider combinations from around New Zealand took part in the weekend championships, which was based at Whareama, east of Masterton, and took riders across rolling and flat Wairarapa farmland. Competitors enjoyed three days of perfect sunshine over the Easter weekend, and their night loops of the ride (The 160km and 120km rides began at 1am and 3am respectively) were made easier by the light of the full moon. Shane Dougan, President of Wairarapa Endurance and CTR Club, which hosted the championships, said the level of competitiveness of horses and riders was the highest in many years. "It is fantastic to see so many top riders and horses performing at their peak. In the three-star ride we had at least a dozen competitors still in the leading bunch nearly to the end - we haven't seen such a competitive field in a championship event for many years." The relatively flat track and good conditions underfoot also meant a high proportion of horses successfully completed the course, and contributed to the record-beating ride times, with nine riders in the 160km ride finishing in less than nine hours, Dougan said. "It was a fast track but it was also a challenging one - and it certainly made for some exciting competition." Wairarapa Endurance and CTR Club is grateful for the support of Wairarapa landowners who allowed the course to go through their properties, the local community, and the generosity of sponsors, especially major sponsors Mitavite, Trust House and Tuff Rock. Meg Wade was competing in the TUMBARUMBA ENDURANCE RIDE on the weekend, (photo coverage to follow tomorrow), Horse Deals has received information that apparently her horse shied at a puddle and she fell and lay unconscious, fortunately only 100 yards from a checkpoint. Ambos & a doctor attended very quickly and she was airlifted to hospital in Canberra, still unconscious. Lastest news is that she was in an induced coma last night and still in ICU this morning. Meg is so widely known and respected both here and throughout the middle east and Europe, Our thoughts and prayers are with her, and hopefully they will be enough to see her back on her horse soon! MELAKA, April 12 (Bernama) -- Yang di-Pertuan Agong Tuanku Mizan Zainal Abidin finished third in the 80km ride on the closing day of the Melaka Grand Invitational Endurance Ride (MGIER) 2009 at the Hang Jebat Stadium, Krubong today. Adorning number 77, the Royal Terengganu Endurance Stable (RTES) horseman, who rode "Jakim Murphy", ended the race in 5hr 5mins 55 secs. Only 14 of 26 participants completed the race which was won by another RTES horseman, Mohd Nizan Muda, who mounted "Camelot Retreat Basha". He crossed the finishing line in 4hr 55mins 35secs ahead of runners-up Master Scaff's Mohd Shahlan Hamzi Mohd Noor, who astride "Duke" (5hr 24secs). Riders from Australia, Singapore, Thailand, Indonesia, France, Germany, the United States and host Malaysia vied for the titles in the 40km, 80km and 120km endurance races. In the 120km event, a State of Terengganu Endurance Team rider Wan Mohd Kamaluddin Wan Yusuff clocked 9hr 13mins 55secs to emerge winner by a whisker by astriding "Idais Tobiha". Mounting "Two Step", Raja Adib Raja Mahmood of Bukit Kiara Equestrian and Country Club finished a close second by merely two seconds behind the winner. Tuanku Mizan's children, Tengku Muhammad Ismail and Tengku Nadhirah Zahrah took part in the 40km event. Melaka Yang Dipertua Negeri Tun Mohd Khalil Yaakob and Chief Minister Datuk Seri Mohd Ali Rustam gave away the prizes. Abu Dhabi: More than 70 veterinary doctors, trainers, riders, stable owners and equestrian officials attended an 'End of Endurance Season' meeting organised by the Emirates Equestrian Federation on Sunday at Fairmont Hotel, Dubai. The meeting was organised by the Emirates Equestrian Federation (formerly UAE Equestrian and Racing Federation) to discuss the UAE's domestic endurance season and to share the experiences of various officials involved in the discipline. The focus of the seminar was primarily on the new FEI rules (which came into effect in January this year), National Rules, Veterinary issues and medication control. Taleb Dhaher Al Muhairi, Secretary General, Emirates Equestrian Federation, welcomed the gathering and stated that it was imperative to have such meetings at the end of every season so that experiences and problems could be shared and solved and an amicable solution arrived at to avoid future impediments. Dr. Hallvard Sommerseth, Head of Veterinary at the Federation discussed several veterinary-related problems, elaborated on the changes in the new FEI rules and the National rules. Dr. Sommerseth said that the UAE had a very brief season for endurance (4 to 5 months) compared to many European countries (for instance in France it extends over 9 months) He said the country had done exceedingly well despite the weather conditions. Giving details of the endurance rides, Dr. Sommerseth said there were 61 rides including 22 FEI rides, covering a total of 5,540 kilometres and featured 3,288 starters and as many as 1,528 riders, which amounted to "46.47 per cent completion which is comparable to anywhere in the world". Malacca never fail to amaze me. Dynamic and forever changing thanks to the solid ground work and vision by former CM Rahim Thamby Chik [say whatever you like about his other 'interests'], and Ali Rustam's people friendly pragmatism. Of course being midway between KL and Singapore does help in the tourist industry and the significance of being the region's entreport in the 15th and 16th century under the Portugese, Dutch and finally the British, does add up to its sense of history. Saturday 11th April saw the flag-off of the 2nd Malacca Grand Invitational Endurance Ride in the novice 40 km, 80km and 120 km events. I was in the 80km along with 28 other contestants. KDYMM was also in the 80. For most of us, we were reserving our 'peak' for next month Edaran Ride in Bidong, Terengganu. MGIER is a good warm-up. 80 km event was flagged off at 630 pm with heavily laden rain clouds threatening to fall any second. We riders do not mind the rain, but thunder and lightning would be a different cattle of fish. The start went off without any incident and it rained cats and dog soon after. KDYMM, as always now were among the front runners and I lost sight of the front group as darkness fell and rain started pouring . Myself along with Peter Lim, probably the only Chinese in this sport in this 'whole wide world' and a couple of his Australian guests were 'sweeping the floor' at the back. Midway through the 1st phase of 30 kilometres even Peter and his group left me. My Mr Gedebe is still new to the game and did not have the pace yet. This was not his race yet, this ride was supposed to be his LSD [ long, slow, distance ]training ride. I am bringing him up for the WEG2010 in Kentucky, USA, next year. For now we have to be used to sweeping the floor at the back. Despite the rain and darkness, the tract was superbly prepared. Weaving through lonely undulating paths in oil palm estates and amongst rubber smallholding in the main with occasional criss crossing on road tarmac, I must concede that by Malaysian standard MGIER trails was highly' techinical' and superbly done. I seek the company of one young rider from PENN Endurance Stable who was busy listening to some music on his i-phone. I was as usual on 'cloud nine' with my usual 'tahmid and tasbih'. I guess all endurance riders have to do something with their minds to help overcome fatigue, bodily pain, the occasional primal fear of being alone in the dark etc etc and to remain focused. When I came in for the vet check at the 1st phase at 15 kph average [quite fast time by normal standard 3 years back],the front runners , including KDYMM were already about to leave for the 2nd phase of 25 km. Malaysian endurance has progressed. Even 'slow coach' Peter, a shipping man from Singapore, who based his arabians in Gelang Patah, has changed. The vets usually had to wait for Peter long after everyone of us have finished, before they could 'close shop'. Now in this ride Peter has graduated 'forward'. Mr Gedebe get all A's for his check and both rider and horse were given a 30 minute holding time [rest] to replenish and refresh before starting on phase 2. I left for phase 2 at 930 pm again alone. In the dark, riding alone, your horse give a 100% trust on you the 'leader'. He tend to get less spooky, the only disadvantage is that your own mind tend to play tricks on you. You tend to be more 'spooky'. People prefer to wait for the next rider but as in my case when you are the last rider to leave, you just 'bite the bullet' and ride on. It was a full moon and cool at night with the breeze. Man and horse remained focused on the job. Horse thinking when 'this stipid human' going to end his madness, man enjoying his 'tasbih and tahmid' oblivious of his mate and the surrounding, just focusing enough on the arrows so as not to get lost. When I completed phase 2, KDYMM, Burn, Penn and group had already left for the final 25 km. Mr Gedebe failed the vet check due an abnormal gait arising from muscular cramp in the right hind quarter. So much for a 2010 WEG material! I made a mental note to start him on Arcoxia[I give expensive human NSAID to my horses, Arcoxia costs more than the traditional phenylbutazone but it works faster and is more softer on the stomach lining] for a week, to review in 2, and probably concentrate on hill intervals subsequent 2 weeks before Edaran's, to improve his endurance capacity and heart rate recovery. That is the plan. A lot of time still for WEG but probably at the rate he is going, Gedebe is B material, unlike my previous Jogho [horses like Jogho will never come my way again in my present lifetime] and Miss Gedebe. Certainly looks like he is not going to be ready for Sultan's Cup this November! At ride like this I get to meet many riders from all walks of life. Mus, the migrant worker from Lombok, riding for his boss Che Din of De Dengkil Stable and Stud Farm,on Dayang in the 40 km event. Grinning from ear to ear after coming home 3rd [A mental note for my good friend Dan,principal organiser of MGIER: Have some small token prize even for 40 km because even though for us 40km represent the entry point for begining horses, for many people like Mus and the young boys from Kelantan, by virtue of their dimunituve pony size, 40km is the race of their lives !]. I get to meet Hj Otto of Indonesian Equestrian Association who is always here for most endurance ride but this time not riding because he got too excited riding his 'leased horse' the day prior to the pre ride vet check, on the actual day itself ,the horse was proclaimed lame. Abe Din of Paka who owns Duke, a tall and gangly ex-race thorougbred, and was introduced to the madness of endurance only in 2007 at Royal Kedah Ride. All very excited because his son came 2nd on Duke in my event! When I asked him how he did it in 2009 in the face of all the 'ferraris' of the 'pure arab' world. He told me he was inspired by my earlier writings on ex-race thorougbred and my insistence on hill work,hill work and more hill work. I was just 'theorising' then when I wrote. That make sense now. Thorougbred already got the height and speed, they just need the stamina build up. Beyond 80 , I do not think they can perform but I also thought in the past only 'horses from heaven cango beyond 16 kph at Bidong and Maria Mercedes debunk that belief. it is back to conditioning , conditioning and conditioning and 'hill work' cut short the LSD and conditioning process to some extent. Abang Sop of Pekan,Tumpat who came all the way from Kelantan on his own to see his dimunutive Kelantan A champion pony ridden by his son challenging all the big boys in the 80's event. Abang Sop is a retiree, does not belong to any club, I do not think he has high income job to support his love for endurance but there he is : always around at any endurance event. I think his son did well at this ride. I also get to meet KDYMM himself but because my Gedebe is not yet 'turbo-charged' at present, we only met at the start, did not manage to exchange pleasantries when passing each other each other on the trail as happened during previous rides when I was riding a more competitive mount. There you are : this world is certainly not a level playing field, but for Abe Din , Abang Sop, Mus the migrant worker from Lombok, KDYMM and this lowly scribe from Subang, we share something in common. We represent a microcosym of Malaysia and we 'play accordingly within our 'designated' fields and levels' and find contentment and shared pleasure in one of the most beautiful creature accorded to man : The Horse. Guatemala - The Mayan Adventure Ride 2009 - Ingenio Magdalena Challenge 2nd Edition, ended successfully on Sunday the 8th of March. The Mayan Ride 2009 proved once again that Guatemala can stage an event that is up to the highest international standards, classifying riders for their participation in world wide events of Endurance. This event places Guatemala at the vanguard of the whole region with the capacity to develop this equestrian discipline with the participation of excellent riders, FEI approved judges, veterinarians and officials. Several months ago, Jinetes de Aventura Endurance - Endurance Adventure Riders, decided to organize The Mayan Adventure Ride 2009 - Ingenio Magdalena Challenge 2nd Edition, a qualifying event for national ranking, obtaining FEI starts for qualifying for the Central American and Caribbean Games, The Pan-American Games and for the World Endurance Championship 2010 USA. The decision to hold the event was based on several factors. The Guatemalan Endurance Riders had performed very well at many international events and they had a good chance to qualify, some riders have already qualified. The location selected for the event, because of optimum conditions was again "Tierra Dulce" of Sugar Mill Magdalena, in La Gomera, Esquintla. The Sugar Mill Magdalena with their generous support made this big and logistically highly complicated event possible. They where the Platinum Sponsors of the event for the second consecutive year. Other important Sponsors where: The National Federation of Equestrian Sport Guatemala (ANEG), The Olympic Committee of Guatemala, Supermarket of Woods Rio Blanco, Travel Agency Máxima Travel, VetCentro, NutriFert, Genética, Purina, Lama S.A , Ecoleños and The Guatemala Times with special news coverage. Because of the climate, the race was scheduled to proceed during the night time. This added more logistical challenges to the organization of the race in order to be able to comply with the unusual requirements. Like in any sport, it is a heartbreaking situation to be disqualified, for the rider, his fans and family, after having endured a race of many kilometers or any distance in between start and finish. Tears are shed; utter exhaustion, frustration and disappointment take their toll. Some riders and their families get very upset at the judges decisions. It is not easy to be a judge at these events where the stakes are very high. A few participants did not manage to finish the race for different reasons. Some of the horses went lame -the conditions at night are very difficult for both rider and horse- and others could not reach the levels of physical conditions required for these FEI events. The Mayan Adventure Ride 2009 proved that Guatemala can stage an event that is up to the highest international standards, classifying international riders for their participation in world wide events of Endurance. This event places Guatemala at the vanguard of the whole region with the capacity to develop this equestrian discipline with the participation of excellent riders, FEI approved judges, veterinarians and officials. at Cha Dao village, Badaling Great Wall the end of the first stage, and start of the second stage.. The Long Horse Ride is a journey on horseback from Beijing to London. It is scheduled to start out shortly after the closing ceremony of the 2008 Beijing Olympics, and to arrive in London in time for the 2012 London Olympics. The ride will bring a message of goodwill from Beijing in the Beijing Olympic year to London in the London Olympic year. It also aims to raise money for disadvantaged children through its chosen charity Schoolchildren For Children. Starting from the China Children Charity Monument on the Great Wall at Badaling, it will cross the steppes, deserts and mountains of China and Central Asia, following the Great Wall and the ancient Silk Routes. In the path of the Mongols and Huns, it will skirt the northern shores of the Caspian and Black Seas, before the final leg through the fields and forests of Europe. We are now staying at a hotel and riding centre somewhere south of Beijing, and here are the horses (really ponies) we have been generously been provided with by the Shandan stud in Gansu - they travelled for 2 days on this truck to get here - this is how most horses travel in the East! The lorries don't have ramps - they are just backed up to a bank to load and unload as you see here. 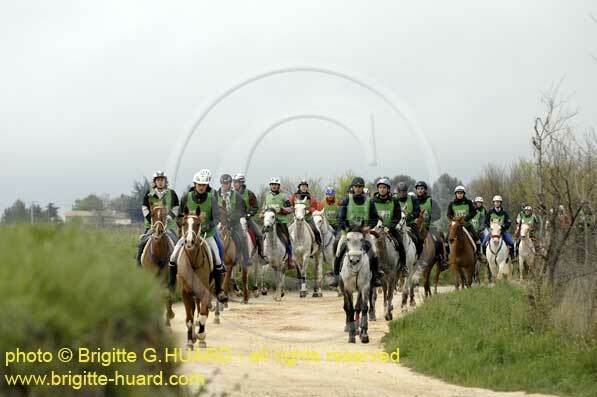 This excting event coincided with a big endurance event at which about 80 horses from all over China participated. The race was run along a very sandy twisting dry river bed. Having spent the whole day being waylaid for media interviews, this was followed in the evening by a press conference for the Long Horse Ride (Sino- British Friendship Ride!) with a roomful of reporters and TV crews. Wutzala was also able to display the official certification we have now recieved from the Chinese Association for Friendship with Foreign Cities. Then a dinner and prizegiving at which I was roped in to present the prize for the champion horse! And I almost forgot to mention our plush new trailer provided by the Chengzhan trailer company - it has two fold down beds in the stalls, a sink and cooker, an outside point to attach a shower, and an awning for us to drink our Pimms in the evenings - and I thought we would be roughing it! VEVEY, Switzerland — When Princess Haya of Jordan took over as president of equestrian's world governing body, she was tasked with fighting the sport's increasingly public doping problems. Now that her own husband is at the center of the most recent doping case, her task has become a lot more difficult. The princess is finding herself under increased scrutiny after Sheik Mohammed bin Rashid al Maktoum, the ruler of Dubai, announced this week that a horse he owns and rides twice failed doping tests after endurance races that were sanctioned by his wife's organization — the International Equestrian Federation. Addressing the situation to The Associated Press, Princess Haya said she fears that a "few individuals" who oppose "the increase in democracy and the fight against corruption in the FEI" will use the doping revelation to undermine her position. "I have no doubt ... that they will use this case in any way they can to injure and damage the reputations of myself and my family," the princess said in an e-mail reply to the AP. She did not specify which individuals she was referring to, but said she hoped the disciplinary case pending against Sheik Mohammed may end up strengthening the FEI's drive toward drug-free competitions. "(The FEI's) own image is only in jeopardy if it does not act in a clear, transparent and timely fashion," she said. The princess will take no part in deciding her husband's penalty, with a senior colleague assuming her presidential powers when the case is considered. She also informed the ethics panel at the International Olympic Committee, having been an IOC member since 2007. It is a bitter twist for the former show jumping Olympian who was picked, in large part, to combat doping. At an election three years ago, most of the 134 national members felt it needed change after three gold medalists at the 2004 Athens Games were stripped of their titles in doping cases. "They were very specific in saying they didn't want a princess, they wanted a working president," Princess Haya told the AP in a recent interview. She said equestrian had become "mediocre" within the Olympic movement, where it made its debut in 1912. "They hadn't reinvented themselves as other sports had," she said. "I understand what the IOC wants from us — content, transparency, good governance, a clear stand on doping." The Beijing Games magnified the problems, despite exciting medal contests. The IOC criticized judging standards in dressage, and six horses failed drug tests, resulting in their riders being suspended. One case, involving Norway's bronze medal in team jumping, is under appeal at the Court of Arbitration for Sport. "That has left an enormously bad taste among the general public but it's certainly not reflective of our family," Princess Haya said. "We have paid a very, very high price for actually trying to do the right thing." At the FEI's assembly in Buenos Aires last November, she invited all members to contribute to a review of medication use and doping standards led by Arne Ljungqvist, the chairman of the IOC's medical commission. The Swedish doping expert will publish his report in the summer. She also persuaded the FEI's dressage committee to resign. She said her leadership became "much stronger and more forceful than I would have liked." In the interview, she said her resolve can be traced to her father — the late King Hussein of Jordan — who struck a deal with her during her 17-year show jumping career. "My father made me promise him that it (her jumping) would amount to something," she said. "He said 'You can't just drop all the obligations you have to the country and follow a dream.'" Princess Haya said she studied how equestrian was organized, and remembered her father's teaching that even in sport, peace is first achieved by politics. Like King Hussein, Sheik Mohammed has put sport at the heart of Dubai's business model. The 59-year-old sheik rode his own horse, Tahhan, in 120-kilometer (74.5-mile) endurance races at Bahrain in January and Dubai in February when it failed doping tests performed by his own staff. Both times the hypertension drug guanabenz was present. After the Bahrain race, a metabolite of the anabolic steroid stanozolol was found. In a statement issued on his behalf Monday, Sheik Mohammed — also one of the world's foremost breeders and owners of thoroughbred race horses — accepted that he was legally responsible for the doping. He ordered an investigation of his stables and the findings shared with the FEI. Princess Haya acknowledged that endurance race doping is a problem in the Middle East. "The FEI has been struggling to deal with the number of doping cases," she said in her e-mail, adding that her husband could help change attitudes. "The effect will be felt more surely and more quickly than the FEI has been able to achieve to date." King Hussein died in 1999, just 18 months before his daughter rode for Jordan at the 2000 Sydney Olympics and carried the country's flag at the opening ceremony. Princess Haya says she felt "robbed" of his wisdom, though still determined to "amount to something." CROWN Prince and Supreme Council for Youth and Sports president Shaikh Salman bin Hamad Al Khalifa yesterday evening flagged off the second Crown Prince Endurance Horseride Championship. The event took place throughout the night at the Bahrain International Endurance Village in Sakhir, and will conclude early this morning. More than 40 riders, headlined by Royal Endurance Team captain and Bahrain Royal Equestrian and Endurance Federation (Breef) president Shaikh Nasser bin Hamad Al Khalifa, began the endurance season's first night race, which has been sponsored by Durrat Al Bahrain. Also among the participants are Breef first vice-president and Al Khaldiya Stable captain Shaikh Khalid bin Hamad Al Khalifa, and top riders Layla Al Reda, Rachel Lula, Jaffer Mirza, Noor Alddin, Shereen Fayez, Nezar Hassan, Mohammed Al Thawadi, Raed Mahmood, Abdul Samad, Ahmed Al Qaud, Fahad Ismail and Mohammed Nasser. The 120-km championship features races for senior and junior riders, held over five stages. The first two stages are over 30km each, followed by 25km and 20km legs. The final stage will be over 15km. Two qualifying races also took place yesterday prior to the main event start after the mandatory veterinary examinations took place conducted by Breef officials. The warm-up events were over 85km and 60km, with the first featuring three stages of 30km, 30km, and 25km distances; and the second comprising two 30km legs. Also prior to the race flagging off, Shaikh Nasser and the Crown Prince held brief discussions, during which the Breef chief thanked the Crown Prince for patronising the event and backing Bahraini riders in different competitions. The Breef chief also expressed appreciation to Durrat Al Bahrain for their generous support. A British woman has set off on a four-year equestrian adventure retracing an ancient trading route. London-born Becky Sampson, 25, is taking her 10-year-old piebald pony, Bertie, on a journey following the centuries-old Silk Road trading route, ending her journey in Japan. The trip will span two continents, 15 countries and cover more than 15,000km. She set off from east London on April 1. Her horseback ride will take in Western and Eastern Europe, Central Asia, China and Japan. Challenges ahead include the Tien Shan Mountains and the Taklamakan Desert (which translates as "he who goes in does not come out"). Temperature extremes will range as high as 50 degrees Celsisus to as low as -20. Both Sampson and Bertie have been in training for the journey. Sampson has completed first aid and survival courses, as well as obtaining a teaching qualification that will enable her to earn money as a teacher while travelling. Sampson says she has known from the age of 10 that she wanted to travel by horse. "An article I read about a man who was halfway through a ride around the world further fuelled my dream, and I knew at that moment that that was what I wanted to do," she says. Her first taste of adventure came when she was 17, after begging her father for years to allow her to travel. "My persuasive powers paid off; I swapped school books for suncream and travelled solo throughout Europe." On her return, she studied agriculture, which gave her the opportunity to own her first horse. "Seastorm and I didn't bother with horse boxes. When it came to the holidays, we would ride home. The sense of freedom was exhilarating. "It also served as an introduction to the problems faced by long riders - finding suitable places to ride; the wear on horse shoes; finding places to stay for the night. That was my first introduction to long-distance riding, and gave me a thorough grounding in travelling by horse." A couple of years later, while riding on the border with China and Tibet, she met a girl who was on her way to Kashgar - a major trading port on the Silk Road. "I'd never heard of it before, and as she described it to me, I began to imagine myself riding along the Silk Road, following the routes of traders that would have travelled to the markets of Kashgar centuries ago. "It wasn't until I returned to England that my dreams started coming together. One of my ambitions had been to have a horse in London and ride from home to 'somewhere'." During her research she dicovered that the most Eastern point of the Silk Road was actually at Nara, in Japan. The trip was extended to join up two major cities, London in the West and Tokyo in the East. Sampson says she has the "basics" in several languages which should help her on her travels. "I still have the article of the man who rode round the world; in fact, I have since spoken to him for advice. I hope that by the end of this adventure, I can be an inspiration to others who want to journey by horse." Sampson intends to cross Europe during the northern summer and spend winter working in Turkey as a teacher, before pressing on. In 2010, she intends crossing into Iran and through the Central Asian states, wintering in Kyrgyzstan. The following year she will enter China and head for Xian, then Shanghai. If everything goes to plan, she will journey by boat in 2012 to Osaka and then head on to Tokyo, then Nara. 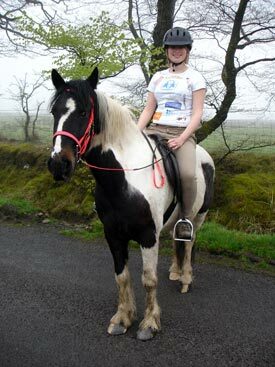 She aims to raise £15,000 for a charity, SOS Children, during the ride. MALACCA: Yang di-Pertuan Agong Tuanku Mizan Zainal Abidin will join local and international horse riders in the Melaka Grand Invitational Endurance Ride starting tomorrow. Malacca Chief Minister Datuk Seri Mohd Ali Rustam said Yang Dipertua Negeri Tun Mohd Khalil Yaakob had invited the king to officiate and participate in the inaugural event, which will end on Monday. "Tuanku Mizan has confirmed his participation in the the race," Ali said. To be held at the Hang Jebat Stadium and the tracks surrounding it in Krubong here, the event is expected to attract members of the Malaysian Equestrian Association as well as participants from Singapore, the United States, Australia, New Zealand, the United Arab Emirates and South Korea. "More than 130 participants, including 10 foreign riders, will participate in the championship aimed at placing the World Heritage City on the world map for endurance horse-riding events," Ali said. The event is divided into the 40km, 80km and 120km races with the king taking part in the 80km race with his steed, Magna Thor. Eketahuna horsewoman Jenny Champion is seeking a hat-trick of victories in the 160km ride at the national endurance riding championships at Whareama tomorrow. Champion and her part-Arab mare Freckles tasted success at Hawarden in mid-Canterbury in 2006 and Kurow in North Otago last year and they will be amongst the more favoured combinations again. some hills but is mainly flat in nature. However, if she is to chalk up win number three she will probably need to finish well inside last year's winning time of 10hrs 43mins 13secs. "The course is fast and should suit us but when you have that many kilometres to cover you don't take anything for granted," Champion said. "It's very much down to the day, you can never be too confident." As it happens one of Champion's main rivals is likely to be her partner Shane Dougan, who is president of the host club, the Wairarapa Endurance and Competitive Trail Riding Club. He will be riding Taralea Sheer Illusion. Look too for big efforts from last year's runner-up Mark Tylee on Class Act and Murray Smith on Glenmore Toyboy. The three-star 160km ride actually gets under way at 1am tomorrow morning with the 30-plus participants being guided through the darkness by fluorescent markers and by the wearing of head lamps. One-star and two-star championship events will be ridden over shorter distances on Saturday and Sunday. Well over 100 horses and riders are entered to compete in the National Endurance Championships to be held in Wairarapa at Easter. Wairarapa Endurance and CTR Club President Shane Dougan says the host club is delighted by the strong number of entries from all over New Zealand and was looking forward to a highly successful championships. There are 32 horse and rider combinations entered in the longest-distance ride, the CEI three-star 160km event, which begins at 1am on Easter Friday. Riders entered in the three-star ride include several past winners of island and national championship titles, including Murray Smith riding Glenmore Toyboy, Shane Dougan riding Taralea Sheer Illusion, Jenny Champion riding Freckles, and Mark Tylee riding Class Act, so competition should be intense. Shane Dougan says the 160km ride will be held over six loops covering farmland around the ride base at Whareama Domain, east of Masterton. He says much of the course is flat, with some rolling hills and mostly good conditions underfoot, so it is likely to be a fast track and many competitors will not need to take anything like the maximum 16 hours allowed to complete the course. "We wanted to set a course that is challenging for some of the best endurance riders in New Zealand, but we also wanted to make it a fair go, and give everyone a reasonable chance of completing the course successfully," he says. "I think the course we have at Whareama will achieve that." Another 31 riders are entered in the 120km two-star event on Easter Sunday (including 11 riders in the junior 120km), 28 riders (including 9 juniors) in the one-star event on the Saturday, and 11 riders in the Competitive Trail Ride events on the Saturday. The club also expects significant numbers of entries in the 40km ride on the Sunday and 80km on the Saturday (entries are taken right up till the day of these non-championship rides). Wairarapa Endurance and CTR Club is grateful for the support of the Whareama community, landowners and sponsors who have made the event possible. In particular significant sponsorship from Mitavite, Trust House and Tuff Rock has provided valuable support to the championships. Two horses belonging to and ridden by Sheikh Mohammed have tested positive to banned substances during competition. The horses were tested last week during routine post-competition checks by Sheikh Mohammed's personal staff in the United Arab Emirates (UAE). Two banned substances — Guanabenz and 16b Hydroxy-Stanozol — were found by his team after an international and national endurance competitions in the UAE. DUBAI — Shaikh Hamdan bin Mohammed bin Rashid Al Maktoum, Crown Prince of Dubai and Chairman of Dubai Executive Council, partnered Garaman Mikado to land the Dubai Crown Prince Endurance Cup for the Fazaa Endurance Team at Seih Assalam Endurance City on Saturday. The CEN 120km race was originally scheduled to take place on March 26 as part of the Dubai World Cup events but it was postponed due to the unstable weather conditions last month. His Highness Shaikh Mohammed bin Rashid Al Maktoum, Vice-president and Prime Minister of the UAE, and Ruler of Dubai, retired from the race after Gate-3 for the welfare of his 18-year-old mare Yamama. Shaikh Mohammed showed the way in the early stages of the grueling race. He was second behind pace setter Ali Khalfan Al Jahouri as the riders covered the first 36km loop, but reversed places with the Al Wathba representative by the end of the second loop. But Shaikh Mohammed decided to rest his mare after the third loop. Shaikh Rashid bin Mohammed bin Rashid Al Maktoum also took part in the race astride Arabian gelding Dell Hama. Despite the light rain showers which hit the city last night and early morning, the 104 riders enjoyed the race. They said the conditions were extremely favourable for the horses. “At least 15 horses were in with a chance to win the race. I have put my horse behind the early speed but not far away from the pace and Garaman Mikado kicked away from the pack when asked the question,” Shaikh Hamdan told reporters in a post-race conversation. “The race was competitive and the speed was relatively high. All riders have been preparing themselves for the test and leading stables like Al Wathba and Al Reef have sent their best horses. “I was only lucky to win the race, otherwise any of the other 15 top riders had equal chances to cross the finish line first,” he added. The winner covered the distance in four hours, 20 minutes and 47 seconds at an average speed of 27,61 km/hour to finish 59 seconds ahead of runner-up Omair Hussain Al Baloushi astride Charlandre El Sharif for Al Reef Stables. Dutch rider Harmke Margrela took the third place honours for the stables of Shaikh Hamdan bin Rashid Al Maktoum. In the CEN 102km Shaikh Hamdan bin Mohammed Al Maktoum Challenge, veteran rider Abdul Aziz Al Redha rode his Arabian gelding Mystic Dream to victory for the Saeed Al Kamda Stables. The winner covered the distance in four hours 15 minutes and 58 seconds at an average speed of 20,58 km/hour to finish three minutes clear of runner-up Hussain Ali Al Marzoki aboard Anter Baby. Meanwhile, 52 riders lined up for honours, but more than half of the field have been eliminated, retired or disqualified. Most of eliminations were due to lameness or metabolic. Some of the riders did not start the race for various reasons. The big number of eliminations were attributed to the fact that all riders came from small stables who lack the experience of races during this season. photo: Lachlan Endurance Club member Mark Lindsay and Kintamani Charisma were first Heavyweight and third outright at the Cedar Ridge 120kms in February. Many members of the Lachlan Club have been having time out getting new horses ready and having a break from the constant training/riding during the hot summer months, although last weekend saw them all converge on the Oberon base at Cedar Ridge Stables for its third ride this year at the lovely Native Dog Station. This base has been set up as an Endurance Centre and runs rides on a very regular basis, varying the course to suit and is gradually being set up as a permanent facility. At the first 120-80kms ride in February, very few of the club competed as the early heat was a great deterrent from having horses in work. The Bailey and Lindsay family with Mary Symons in tow, were the only members to front up to this very wet/cold ride. Mark Lindsay was the only club member to elevate to the 120kms for first Heavyweight and third outright riding his homebred Kintamani Charisma. Alan, Mary and Andrew were successful in the 80kms and were able to withdraw at this point. Mary Symons was successful on her seasoned Ralvon Vim in a time of 6.45, Alan Lindsay successful on his homebred Kintamani Silver Flame in 6.01 for her first ride out of the novice division and Andrew Bailey riding his Aloha Delegate in 6.11. The second Cedar Ridge ride was on the first weekend in March and again the Baileys and Lindsays were there and Marjorie Trudgett making a comeback in the trainer as well as Duncan Myers and Greg Hamilton from Canowindra. Annette Bailey was the only one successful on her young stallion Harmere Katif in a time of 8.41. Mark Lindsay was riding Mary Symons gelding Ralvon Vim, which had a minor floating injury which turned into a lameness by the first check and Alan withdrew his mare with a saddle problem. Marjorie rode her new horse Inshallah Solitary Man successfully in the 40kms trainer however her other horse ridden by Duncan Myers was unfortunately vet out lame on Arabina Sheliska. Greg Hamilton had a great time on his young homebred horse Windradyne Choc Chip, with success in the 40kms trainer. By the time it came around to the round three ride at Cedar Ridge every man and his neddy from the club rode, even those who had extended breaks from the sport such as Andrew and Linda Jonkers, Helen Brown, Marjorie Trudgett, Donna Tidswell, Barry Blinman and Matt Thuaux. The Baileys were the only notable absentees as they had travelled interstate to Victoria for an FEI ride, more on this later. The 80kms attracted quite large numbers with around 90+ riders, with 34 Middleweight; 35 Heavyweight and the balance in Lightweights and a good contingent of juniors. The organisers had opted to make a return to the AERA rules with 30 mins vetting which suited the hot conditions and all of the horses looked very well. In the 80kms first home from the Lachlan Club was Mark Lindsay riding Kintamani Silver Motif; followed by Mary Symons on Ralvon Vim. Karen Rhodes and her gelding Shadow were also successful as was Matt Thuaux and his gelding Tavern Park Shiraz and Barry Blinman on his Waugoola Creek Chips. In the 40kms training ride Donna Tidswell’s OP Bailey made his successful debut to the sport as did Andrew and Linda Jonkers stallion Girilambone Comet and their gelding Girilambone Haizib. Helen Brown recently took over the Jonkers’ pony Girilambone Eclipse and had heaps of fun after a long break from the sport. Danielle Beard rode Botusa Park Spirit to success as did Nikki Tucker riding Karibu Kalari and her new jockey Pen Whatman riding her Anglo mare Alhambra Khalita enjoyed the change of pace. Rachel Benad of Woodstock was also successful on Robin Gossip’s Wesswood Willow. Also successful in the trainer was Marjorie Trudgett for her second this year riding father Paul’s gelding Buddy and her friend Duncan Myers was successful this time around riding Inshallah Solitary Man. The next big event is over the Easter weekend at Tumbarumba where there are a variety of rides including AERA and FEI and the introduction of a Young Horse challenge. Many of these Lachlan Club members will be competing in this, one of the favourites on the calendar.